At our church, we are defined by 3 core values, Gospel Enjoyment, Intentional Community, and Prayerful Mission and our Community Groups aim to contextualize these values in their neighborhood. They are often guided by 3 convictions that we believe assist them in being a gospel community on mission. Those 3 convictions are proximity over affinity, rhythms over events, and integrating children in the Community Groups. One of the major shifts we made over a year ago is moving from affinity based small groups (marrieds, families, single men, single women) to proximity based gospel communities on mission. We made the shift for a few reasons. When you gather around affinity, an unintended result is that people don’t even reach outside of their affinities in their own church. If they can’t even be on mission within their own church to people who are different, they will have difficulty being on mission to those different than them outside your church community. We had a few Community Groups that were gathering people from all 5 boroughs in Manhattan and because of the traveling time and challenges, they were really unable to be in each other’s lives on a regular basis that would lead to true community that encourages and exhorts. They were unable to be on mission together on an everyday basis. It presented many challenges. Additionally, people begin to define themselves by their affinity and it has the danger of becoming their primary identity over the gospel. This was evident to me when we made the shift and the pushback I received was asking how a single man can identify with the other men in the group that all identify themselves as husbands and fathers. The reality is that the gospel is your primary identity and then defines the way you live as a husband and father just as the gospel is the single man’s primary identity and he seeks to live it out as a single man. A husband and father can be challenged by the single minded devotion to Christ of the single man or woman, just as the single man can be challenged in what it means to become a man who pursues covenant and disciples children. It also seems to be a problem when Jesus or Paul is unable to hang out in your small group time. Another reason we made the shift is that as you read the scriptures, there is a consistent challenge to love the city where God has sent you, to not assimilate into the ways of the city, but to seek its flourishing, its welfare, its shalom, which is Hebrew for holistic flourishing. We see this idea in the old testament as the Lord speaks through Jeremiah to challenge the exiles in Babylon to seek the welfare, literally the shalom or holistic flourishing, of that nation that they have been brought to serve because in seeking its flourishing, they will flourish. In the New Testament, Paul in Acts 17 describes God as determining the boundaries of our habitations so that people would know God. As a result, transitioning from affinity to proximity can be challenging and we focused on people over process during the shift. This caused a lot of people to ask for the first time “How can I love my neighborhood? My neighbors?” We just kept asking, what do you love about your neighborhood? What would you love to see God repair, restore, redeem through a community in your area? It’s changed how people walk the streets of their city, how they view their neighbors, and created a desire for mission in the people at Apostles Church. We encourage people to find encouragement in their affinity within their Community Group or within the various Community Groups in the same region that partner together for a wider gospel presence. The transition is ongoing, but many left the Community Groups they were traveling to in order to start a Community Group in their neighborhood. For others, as their lease came up, they chose to move with gospel motivations. Instead of asking how can I get more space, the question becomes should I move to engage with a certain community or should I move to a certain area of town where there is a major need for gospel presence. We have to let the gospel guide all of our decisions. For a few couples, this led them to move within a 10 block radius (1/2 a mile for you non-New Yorkers) of their Community Group. For others, this led them to move to Brooklyn Heights and Beorum Hill in Brooklyn to see a gospel community get started where there hasn’t been a large presence. With proximity becoming a conviction, our Community Groups now gather around the gospel, the identity they have in Christ as the bond that forms them together and the mission they are all on. It opens opportunity for mission to families for our singles and opens up mission to singles for young marrieds and families. As a result, we are more adequately reflecting the demographic of the neighborhood in order to extend the gospel to our neighbors. It forces us to get out of our comfort zones and be confronted with the challenging circumstances of others so we see how God has uniquely equipped us with our circumstances, our life stage, and our personalities to care for, encourage, and challenge each other where God has placed us. Proximity provides the greatest ability for our Community Groups to embody and live out our core values of Gospel Enjoyment, Intentional Community, and Prayerful Mission. I love the great thoughts in this post. I heard JR share about the values of Apostles in Q&A session a while back and I knew the was something great and challenging ahead. Where I am currently serving, our groups are still very much affinity based and I’m not sure how the move to proximity would look for us but we are talking alot about it now. 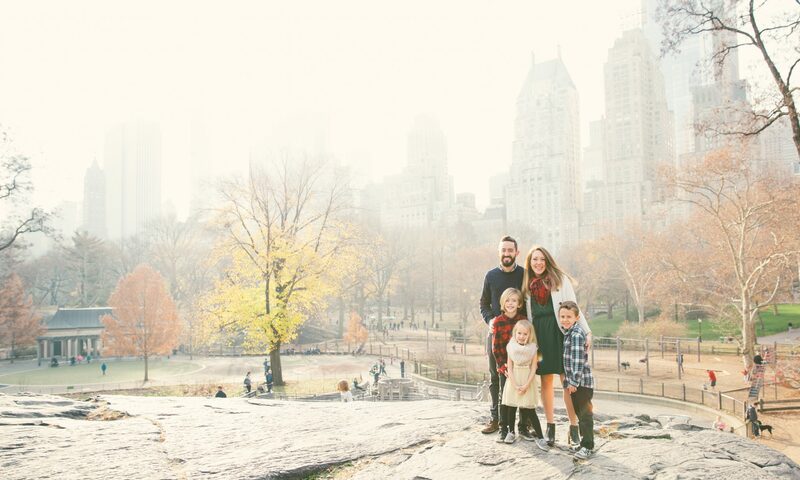 My wife and I will be in NYC in May and plan on attending Apostles, could jump in on a community group as well? Not sure how people would feel about that. We feel a strange connection with Brooklyn for some reason, even though thats not our favorite part of NYC, so we would like to visit a group there. Texas is quite different but the gospel message stays the same. It about valuing people the way God values people. Although ministry can be tough and messy, it seems to make ministry a bit easie for me when I keep that in mind! Thanks for all of the blogs. They have been most helpful to us. Would be great to connect when you are in town. Transitioning is all about people over the process, taking your time and counseling people through the gospel. We are praying for Brooklyn, that God would establish a congregation there. We will have to connect you with our Brooklyn communities. When will you be in town? Thanks for the reply. My wife and I will be there around mid-May. I love to connect and dream with you guys. In the mean time we will continue praying for Brooklyn also. great thoughts. we are in suburbia and proximity is one of the greatest challenges we face. living in community and on mission is so much more likely the closer you live. it helps to hear about others who are working this stuff out like you guys are. thanks for sharing this. We would love to post it on our site.